Located in the heart of scenic Bain Boeuf, Mauritius, Coin de Mire is more than a luxurious hotel where every leisure explorer departs happily with a smile of satisfaction. Surrounded by pristine beaches, captivating lagoons and scenic islands, Coin de Mire is counted as one of the best hotels to enjoy holidays in Mauritius. This recently refurbished luxurious hotel of Mauritius features 102 well appointed rooms, lavish restaurants, bars, rejuvenating spa centre and recreational facilities. Nestled between Grand Bay and Cap Malheureux, the captivating villages of Mauritius, Coin de Mire is truly a blissful haven surrounded by lush gardens. The elegant décor, cordial environment, warm service and provision of world class facilities make Coin de Mire as the desirable destination of every vacationer and explorer. Convenience and luxury is infinite at Coin de Mire, Mauritius. Searching for a holiday spot in the search engines? Then you will definitely find Coin de Mire in various travel websites. 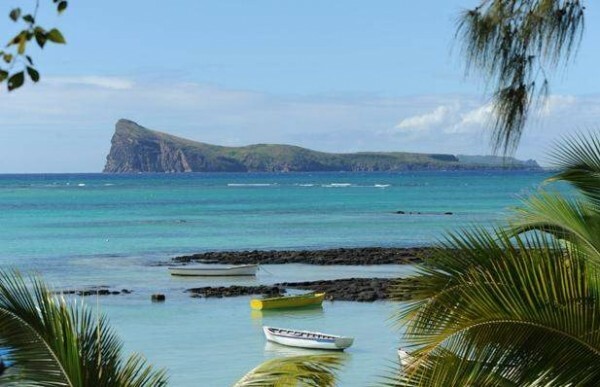 Recommended as the best luxurious hotel for holidays by several travel websites and blogs, Coin de Mire is no less than a paradise for vacationers and explorers. When you are booking your holiday stay at Coin de Mire hotel, you don’t have to think twice. Arrive at Coin de Mire and be ready to experience more than you always wished for. This plush hotel of Mauritius is a best abode for a honeymoon trip, summer holidays as well as rejuvenating vacations. The cordial ambience and the friendly nature of the dedicated hotel staff will definitely please you. Once you spend your holidays at Coin de Mire, you won’t feel going back to your base. Situated in the vicinity of tropical gardens, the deluxe rooms of Coin de Mire come well furnished with contemporary decors and essential facilities. Let’s check out the outstanding facilities available in the well appointed rooms of Coin de Mire, Mauritius. La Paillote Restaurant at Coin de Mire is a delightful place where countless travelers and explorers come to relish on scrumptious cuisines as well as international delicacies specially made by the master chefs. Belle Vue Bar, the exotic bar at Coin de Mire is a pleasant destination where several vacationers come in the evening to unwind and drink some refreshing beverages and cocktails. This captivating hotel at Mauritius offers a exciting opportunities for guests to forget their stress and indulge in mind pulsating recreational activities to the content of their heart. The luxurious spa at Coin de Mire is a blissful haven where one can escape from all the nerve wrecking pain and get his senses healed with rejuvenating massage therapies. Let’s take a glance at the recreational privileges offered by Coin de Mire, Mauritius. So, come be ready to witness the ‘out of the world’ convenience at Coin de Mire, Mauritius.